Most of the artists we interview are pursuing music as their main profession. 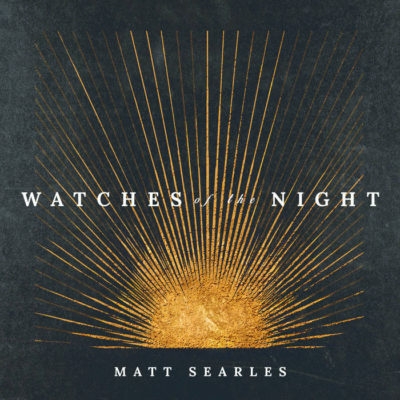 And then there are folks like Matt Searles – who feels called to primarily pursue being a pastor and teacher… yet finds the time and space to serve the Church with his musical talents too. We’re glad we could catch up with this U.K.-based songwriter about his brand new release Watches of the Night. UTR: We’re here to talk music, but it’s actually not your main profession. What else do you do? 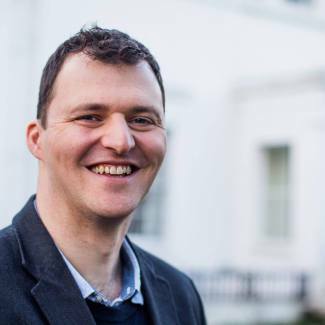 Matt: I used to be an Anglican pastor in London, but for the past four years I’ve been working for the South Central Gospel Partnership (kind of like a local Gospel Coalition) as their director of training. So I run a one day per week ministry training course in Oxford, teaching Biblical Theology, Doctrine, and how to understand and teach the Bible. I also do other training events and preaching for churches across the region – all trying to help people get into the Bible more and grow in their knowledge and love of God. I love it, but it’s quite different to what many people expect, as they assume my job involves music, which it doesn’t. UTR: How do you feel music informs or inspires the other things you do? Matt: In truth, it’s probably the other way around mainly. I feel I’m a pastor before anything else. I want to help people know the Lord, and engage with him in all seasons of life. The music very much grew out of that, as I realised that I might be able to pastor people through it. The first song I wrote was after the death of my Mother when I was meditating on just one verse from Ps 30: ‘Weeping may remain for a night, but joy comes in the morning’. This became the chorus of my first ever song, and was sung at my Mum’s funeral. I realised that I could use music to help people – particularly those walking through tough times – to learn how to engage with God in these seasons. This set me off on both songwriting, but also in pursuing doctoral work in the psalms, particularly looking at how believers can use them to shape their relationship with God. UTR: Your new album Watches of the Night is now available. What is the overall theme of the album? Matt: It was prompted by Ps 63:6 where David says he thinks of God through the watches of the night. As someone who often struggles to sleep, I longed to have more of this instinctive turn to God when I was awake in the small hours, and I had the idea of writing an album for that purpose – hence the very sparse arrangement, and no drums. But there is another use of ‘watches of the night’ where the psalmist speaks of waiting for the Lord like watchmen for the morning (Ps 130). I wanted the theme of the album to be lamenting the darkness that we’re in, but longing for the dawn that is coming, when Christ returns and makes all things new. So I wanted an album that was full of longing, but was profoundly hopeful. This informed me as I began writing the songs – the vision for the album came before I had any songs at all, I think. UTR: You team up with some fantastic lead vocalists on the songs. What was the process of finding the right voice for the right song? Matt: I keep on wondering whether one day I’ll be brave enough to sing on my own album! But now I’ve got in the pattern of using other vocalists, I’ve realised how amazing it is to be able to choose a vocalist who will suit a particular song. Just as I’ve tried to let the music serve the lyrics, so too with the vocals: some more fragile, some more confident, some more reflective. Most of the vocalists on the album are people I’ve heard on other records, and been blown away by their vocals. Many had connections with Sovereign Grace Music where I have some dear friends, so I was able to be in touch with them and most people I asked to sing said yes! One of the great joys of this album is that I was also able to co-write some songs with some of these same people, which was a great blessing. UTR: What do you hope listeners experience with this batch of songs? UTR: Who are some of the artists or albums that have deeply resonated in your soul? 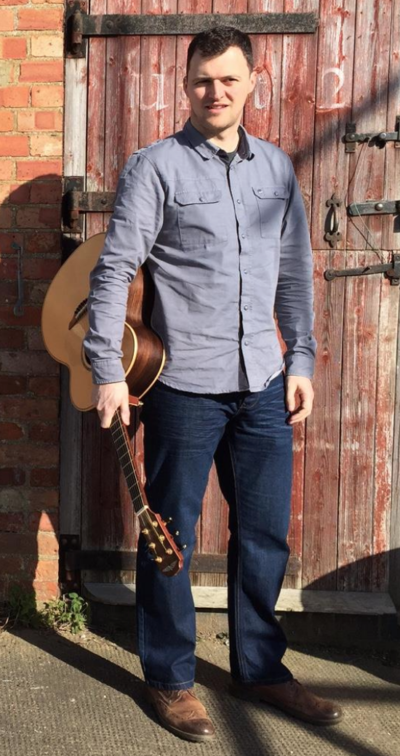 Matt: Two British folk singers Kate Rusby and Cara Dillon have hugely inspired me – often simple production, but haunting melodies, and lyrics that draw me in. I love the rawness and honesty in the lyrics of Mumford and Sons that I don’t always find in Christian music. Musically I’ve been captivated by London Grammar and Daughter. Andrew Peterson for the rich artistry of his lyrics. Yvonne Lyon, Nathan Tasker and Miriam Jones have all helped me to see beauty in the ‘ordinary’ things of this world. I like the gloom of some of Ryan Adams that fits the world I see. Moda Spira’s first album. Emili Sande. I’ve listened to less U2 recently, but they’ve been hugely influential in my life. So many others I feel bad not being able to list!